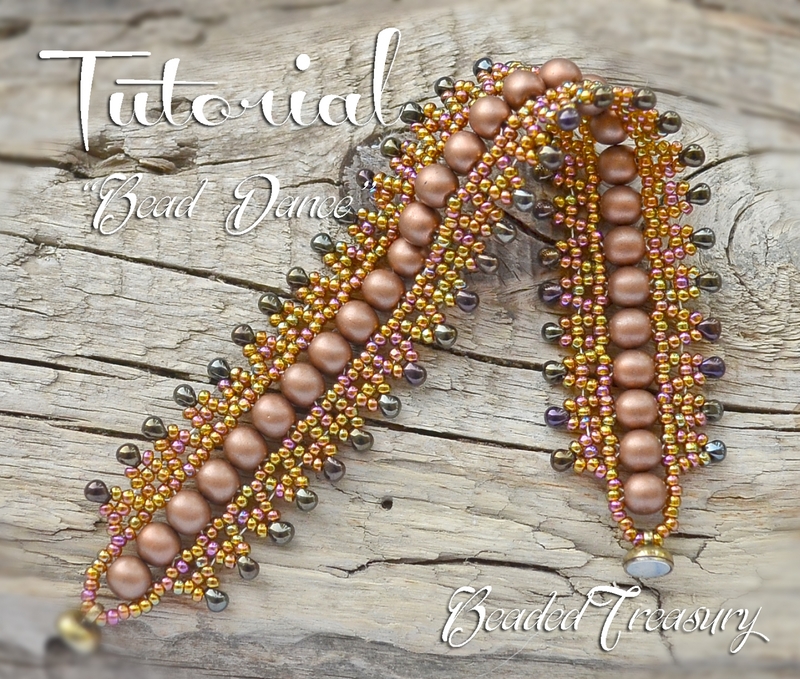 By purchasing this tutorial you will learn how to create yourself the beadwoven bracelet "Bead Dance" in a step by step instruction with lots of photos. Technique: bead weaving, right angle weave, netting stitch. This is a design with 6 mm round glass beads, seed beads size 11/0 and 3.4 mm drop beads. Do not share, sell, copy or teach any part of the tutorial. However you have permission to sell finished bracelet made from this tutorial - please give credit to the designer (Iulia Postica - BeadedTreasury).